Ask 100 spiritual practitioners if they know what the words "aura" and "energy" mean, and they'll all nod their heads and say "Of course". But ask 100 "ordinary" people off the street, and 98% of them will give you a surprised look and say, "Huh?". The reality of this situation is that spiritual practitioners know A LOT about how humans have more than "one" body... but most other humans are CLUELESS. When a clairvoyant psychic uses the word "Aura", they're actually talking about a tangible energy field surrounding the physical body. They're talking about perceiving the colors, shapes, textures, and symbols that appear around the human body when it is viewed or sensed energetically. 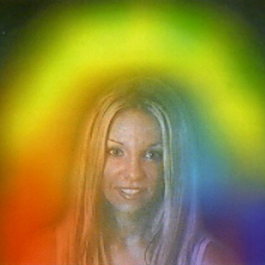 For a clairvoyant, Auras are a veritable window into the soul. Not only does the human energy field and Aura exist, but VISUAL clairvoyants can SEE this aura, and the emotions of the person being viewed, no matter what their beliefs. Clairvoyance is the ability to use your Third Eye to tune into subtle energy levels of physical reality, as well as the astral dimension. It's also the power to receive visions of the past, present, and future, inside the Mind's Eye. It's about accessing visual information that reveals emotional and mental FACTS about a person's character and history. If you KNOW what a person is thinking, feeling, or doing at ANY TIME, then doors of opportunity open up to you... doors that are locked to other people. But if you don't open your Third Eye and see through your Mind's Eye, then you won't EVER get to use all of your natural powers of perception. For most people, seeing is believing. What this means is that if something isn't obvious then they won't lend it any credibility. But for psychic development, BELIEVING is SEEING. The energetic layer of reality is subtle, and unless you are open to believing this you'll have difficulty achieving it. For example, a friend of mine was born clairvoyantly blind, and had no idea that she could use her Third Eye to see people's auras. Simply by learning to believe it could happen, it became a reality for her. One day after meditating, auras just APPEARED around everyone and everything. Open-mindedness is a prerequisite for psychic success. Open Minded Skepticism is the only BELIEF you'll ever need. Give clairvoyance the benefit of the doubt until your personal experience catches up with your beliefs. If you don't believe it's possible, you won't do what it takes to make it real. So get with the program and go with the flow and just do it. Taking the First Step is what stops 98% of people from ever becoming clairvoyant. What do most people never do when it comes to spirituality? They don't do anything. No energy work or affirmations or meditation. They just expect psychic abilities to be magically given to them. But for most people this never happens. Religious programming can be a huge blockage to psychic abilities. Many think it is bad or evil to take charge of developing their own spiritual gifts. This is not real. You are in charge of your own energy body and always were. The reality here is that the word "work" means putting effort into making something happen. Spiritual aspirants need to invest genuine sweat equity into making the Third Eye open. After some consistent energy work, meditation and affirmations, targeting your brow center, your Third Eye will kick into overdrive and activate. Of course, if you don't feel like putting some elbow grease into making your spiritual dreams come true, then just sit around wishing for it like everyone else. My suggestion? Just Do it. At all my workshops, students make RAPID progress. Novices achieve deep states of meditation, see auras, and have out of body experiences and lucid dreams. This is because they work daily on meditation, energy work, and psychic exercises. They do regular work and make real progress. Here's the ultimate formula for seeing through your Mind's Eye, and preparing to receive psychic visions. It is inside the vehicle of your imagination where you will see the movies and imagery that will be revealed to you as a clairvoyant. With time and practice, your mind's eye imagination will progressively become more and more visual. Eventually it is like watching a little TV inside your head. So what you need to do is practice picturing scenes, people, and places inside your Mind's Eye. This will JUMP-START your "equipment" to start showing you psychic imagery. This is like daydreaming. It is easy, fun, and relaxing. 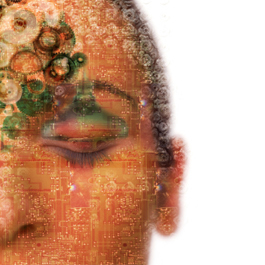 Think of your Mind's Eye as a giant video camera. And you can "take pictures" with it, and look at them inside your head. For instance, imagine sitting in your favorite chair, and see what you see normally as if you were really sitting in the chair... make it as CLEAR, and REALISTIC as you can. Immerse yourself in this. If you can make it so real, that it's as if you're TRULY there, then you're on track. You can also look at a scene and then close your eyes and recreate it, using the afterimage of the visual to help. Look at a window in the daytime for a minute, or gaze at a candle. Then close your eyes and you'll see an afterimage of it. Hold onto this for as long as you can, and as it fades touch it up with your imagination so it stays in view in your mind's eye. By taking control over your "imagination" and "visualization" and mental imagery, you're PREPARING your mind for visual clairvoyance. Your Mind's Eye and Third Eye require adequate practice and "warming up" for them to kick into action and work consistently for you. It's like a car that hasn't been driven in a REALLY long time... it'll need some coaxing and revving to get the old boy humming again. You need to remember that you've gone your entire life without ever TRULY AWAKENING and using your psychic senses. So it'll take a serious solution to get these latent psychic senses back into full working order again. You CAN do this by practicing on a regular basis. You CANNOT do this by sitting on forums or reading books endlessly. Seeing auras and sensing energy fields is a very easy thing to do, if you go about it in the right way. I teach this in my live workshops and 95% of my students GET IT and start seeing auras in the first 15 minutes of aura viewing practice. These TRIED AND PROVEN METHODS are included in my eBook. So what's the best way to learn the "techniques" for clairvoyance? Easy. Check out my eBook "Evolution". It's the place where I teach you everything you need to know about EVOLUTION so you can "magically" become clairvoyant... and see the auras and visions which will tell you EVERYTHING you need to know about a person, place, or thing. We take your privacy very seriously. Disclaimer: Results will vary, and we do not guarantee your success with any of the skills named on this site. All the information on this site is highly speculative, and unaccepted by mainstream science. Therefore, you should consider it entertainment. Do not use this as a substitute for help from licensed professionals. © Copyright 2013 Astral Dynamics, All Rights Reserved. "Astral Dynamics" is a trademark used by Astral Dynamics. By entering this website, you agree to our terms and conditions. By submitting your email address you are requesting to subscribe to our email newsletter voluntarily. You must be 18 or older to enter. You can read our FTC Disclosure Statement. If you need help, go to the Contact Us link above. You may access our old site here and forum here.